Art by David Wynne. Prints, cards, and travel mugs available until 2/22/2015 in the shop, or contact David for the original. 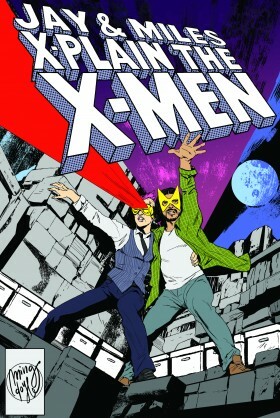 …and after the jailbreak in X-Men: Legacy vol. 2 #2. It is entirely fair to judge X-Men: Legacy vol. 2 by Mike Del Mundo’s gorgeous, brilliant covers. Next Week: We were going to cover a whole bunch of X-Men, but we ended up spending the whole time talking about Storm and Lifedeath II. WE REGRET NOTHING. In which Legion grows from setting to protagonist; Rachel is a master of narrative rationalization; “Claremont” is a verb; Warlock befriends an airplane; Xavier owns a significant mistake; New Mutants does a deep dive into power dynamics; you should go read X-Men: Legacy already; and Si reveals the true secret nature of reality.